Telangana is the newest born state of India, comprising of the ten north-western districts of Andhra Pradesh. 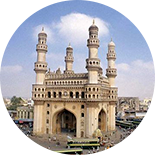 It was initially a part of Hyderabad in Andhra Pradesh. After separation, Telangana achieved a new identity that is packed with rich history and culture. Telangana is spread over an area of 112,077 square kilometers and a population of approximately 35 Lacs. Telangana is famous historically for the Nizams of Hyderabad who ruled the princely state in the 14th century. The state falls in the Deccan plateau region and has two major rivers, i.e. Godavari and Krishna. 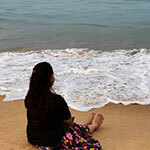 The state is also popular for its historical connect, rich culture and tourist attractions such as monuments, forts, temples, waterfalls, sacred groves, national parks and sanctuaries. Hyderabad and Warangal are two major cities in Telangana and each of them frequented by travellers from across the world for their independent reasons. Other cities are Nizamabad, Khammam, Karimnagar, Nalgonda, Suryapet, and Adilabad. When it comes to tourist attractions, Telangana has several prominent monuments and constructions that were an important part of the history of the state. The Charminar (the word meaning four minarets) was constructed in the 16th century, in Hyderabad. The monument is now accepted globally as the landmark icon of Hyderabad and is one of the most popular structures in India. Charminar is a historical building with a mosque on the top floor and is popular for its neighbouring markets. Golkonda comprises of four distinct forts with a long outer wall and 87 semicircular bastions, eight gateways, and four drawbridges. There are also a number of royal apartments and halls, temples, mosques, magazines, stables, etc. inside. 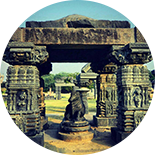 Warangal Fort has existed since the 12th century; when it was the capital of the Kakatiya dynasty. The fort consists of four ornamental gates that are referred to as the Kakatiya Kala Thoranam; they originally gave way to the entrance of a great Shiva temple. Qutb Shahi Tombs are situated in the Ibrahim Bagh, which is located in close proximity to the Golconda Fort in Hyderabad. The tombs and mosques constructed by various kings of the Qutb Shahi dynasty are here. It is also known as four Palaces and is a palace of the Nizams of Hyderabad. The gorgeous palace is situated in the old city close to the Charminar. Historically, all the ceremonial functions such as the accession of the Nizams as well as the receptions for the Governor-General were held at this palace. Besides the marvellous structures, Telangana is also a religious abode. The Birla Mandir is a famous Hindu temple which is constructed on a hillock known as Naubath Pahad and is spread over a huge 13 acres plot. 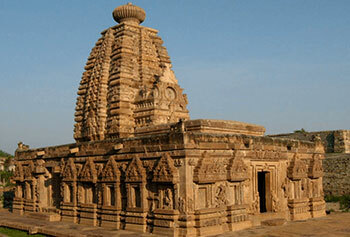 The temple reflects a blend of three styles of architecture: Dravidian, Rajasthani and Utkala. It is built out of 2000 tons of pure white marble. The main deity worshipped here is a granite idol of Lord Venkateswara which is approximately 11 ft tall. Sri Sita Ramachandraswamy temple is a famous South Indian Hindu temple which was built in commemoration of Lord Rama, who was the seventh incarnation of Lord Vishnu. The temple stands on the shores of the Godavari River in a town known as Bhadrachalam. Dornakal Diocese is a diocese of Church of South India in Telangana and is one of the 22 dioceses of Church of South India in India. It primarily covers the pastorates of Warangal, Nalgonda, East Godavari and Khammam districts. Mecca Masjid is one of the oldest mosques in Hyderabad, Telangana and it is one of the largest masjids in India. The fifth ruler of the Qutb Shahi dynasty, Muhammad Quli Qutb Shah, commissioned bricks that were to be made from the soil brought from Mecca which is considered as the holiest site of Islam, and used them to build the central arch of the mosque. Adventure tourism in Telangana is primarily popular for the trek to Golconda, Bhongir and Vikarabad. In recent times, these places were under the governance of Andhra Pradesh, but now they fall under the governance of Telangana. White Water rafting, trekking, hiking and rock climbing are only a few of the most common activities youngsters like to participate in, while in Telangana. A few other activities gaining popularity are camping at Amrabad Tiger reserve, climbing up rocky waterfalls, and river rappelling. Telangana is located at a very strategic position in Central India and has a variety of plants and animals species. The vegetation is dry deciduous including teak, species of the genera Terminalia, Pterocarpus, Anogeissus etc. 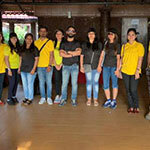 The habit is varied and hence, offers a diversity of fauna including tiger, panther, wolf, wild dog, hyena, sloth bear, Gaur, Black Buck, Chinkara, Chowsingha, Nilgai, Cheetal, Sambar and a huge number of birds and reptiles. Telangana is also known for its 3 National Parks: Kasu Brahmananda Reddy National Park, Mahavir Harina Vanasthali National Park and Mrugavani National Park. Telangana is famous across India for its unique cuisine that includes a contrasting variety of both sweet and savoury dishes. As a semi-arid state, the staple food in Telangana is not rice but millet. Because of this, a variety of millets are consumed raw or are used to make breads that are indulged with spicy accompaniments. Interestingly, the food of the region is considered as the spiciest in the Deccan region. In Telangana, some of the specialties include Kobbari Pappu Payasam which is prepared with cooked moong dal, grated coconut and milk, laced with jaggery and cardamom; it has a soothing effect on the soul. Another famous sweet dish is Garijelu, which is like a deep fried dumpling with a sweet coconut and sugar filling inside. The city is famous for its street shopping: exquisite jewellery, pearls, embroidered clothing are a few of the specialties of the area. You can shop at Koti, Begum Bazaar, Nampally, Tobacco Bazaar, Laad Bazaar and Moazzam Jahi market. Laad Bazaar is an old market considered famous to buy bangles in Hyderabad. Telangana is a semi-arid region and has a predominantly hot and dry climate over majority of the year. Summers commence in March, peak in May. Monsoon arrives as a relief in June and stretches till September. Winter starts sometime in late November and is dry and mild. More than 3/4th of the population residing in Telangana speak Telugu. Our team of travel experts assist you in exploring the newest state in the country by offering customized travel packages at an affordable price.